Impossible-to-find instruments recorded on analog tape? Beautiful room ambience and real plate reverb you can dial in? You might say it's even better than the real thing! 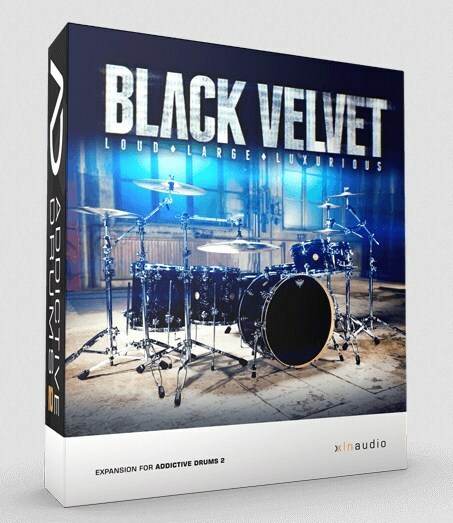 The Black Velvet ADpak is the sound you always wished you could afford! A modern classic dressed in black captured with a large, epic sound. Created with the grunge/post-grunge era in mind, with roots in alternative rock transcending to an expensive arena rock-band sound, this takes you on a journey from Seattle to LA. This ADpak is made with the highest demands on everything throughout the whole recording chain, capturing the unmistakable raw attitude in a luxurious package.The included presets covers different clean setups to gritty alternative rock and grunge to slick, expensive and larger-than-life grandness. Black Velvet offers an almost unreal diversity - go from a tight, fat and controlled sound to unleashing some kind of monster by just pushing the room fader! Simply put, it's epic! Our Funk ADpak is based on a masterpiece: the Pearl Reference drum kit. We recorded it with absolute fidelity in a top studio and had top sound engineers craft the funkiest presets you've ever heard. Craft your own sounds or use any of the 30+ production-ready presets to get to work instantly. 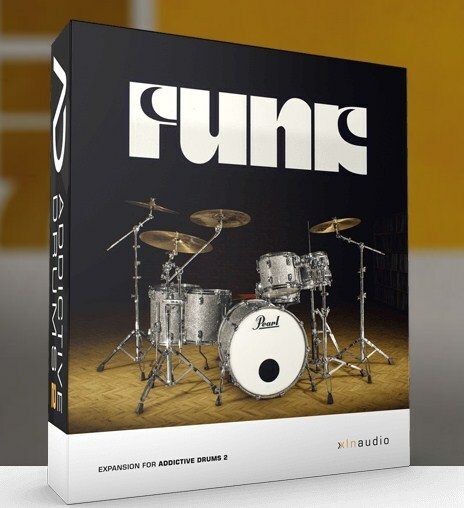 Our Funk ADpak is based on a masterpiece: the Pearl Reference drum kit. We recorded it with absolute fidelity in a top studio and had top sound engineers craft the funkiest presets you've ever heard. Craft your own sounds or use any of the 30+ production-ready presets to get to work instantly. The Pearl Reference Series drum kit is a masterpiece. To perfect the sound, Pearl engineered and designed each drum individually. Depending on size and depth, each drum has its own uniqe thickness and combination of wood types for the ultimate sound and resonance. The result is one of the best sounding drum kits on the market, and the choice for many world renowned drummers including Chad Smith (Red Hot Chili Peppers) and Dennis Chambers (Santana). The Black Velvet ADpak is the sound you always wished you could afford! A modern classic dressed in black captured with a large, epic sound. Created with the grunge/post-grunge era in mind, with roots in alternative rock transcending to an expensive arena rock-band sound, this takes you on a journey from Seattle to LA. This ADpak is made with the highest demands on everything throughout the whole recording chain, capturing the unmistakable raw attitude in a luxurious package.